Address Not always easy to see precisely unless the house was a named house or farm. You may have to settle for simply knowing the name of the road or the village. Relationship How the individual is related to the head of the household. Condition Whether married, widowed or single. Age From 1851 onwards, the census is usually as accurate as the person providing the information could know or guess. Occupation The rank, profession or occupation can be useful in helping to establish that you have found the correct person, especially if they share a relatively common name or have changed their first name for instance. Where born this also helps to identify individuals, although for a number of reasons it frequently contains mistakes. § The majority of the Ireland census was destroyed in a fire only a small amount of information relating to certain counties remains. FIND an address in the Census. A lot of the census has been transcribed and indexed on line which is good news, otherwise you would be looking through reams of paper to find your occupier. In a town that would be next to impossible. But the bad news is that sometimes the transcriber has had a guess at the name of a place and there are some really bizarre examples which if somebody took half a minute to think about it could have been corrected. The best place to view the census is online. Most sites are subscription only or pay as you go, although thanks to the Church of the Latter Day Saints (who have done so much to help family historians) the 1851 census is free. Census records for England and Wales from 1841 to 1911 are available online at subscription sites. It is free to search these sites but if you want to explore or download the full transcriptions or original documents then you will be required to pay. You can view these free of charge onsite at The National Archives office in Kew and many libraries and record offices have subscriptions to one or both of these websites which means you can search for free. ​Indexes to the Scottish censuses 1841-1901 are also available on Findmypast.co.uk and Ancestry and but they do not have any links to digitised images. The format of the Census returns for Scotland are on the whole identical to those for England and Wales, except for 1911, when similarly detailed information was gathered, but was then copied into enumeration books. View digitised and indexed images of the 1901 and 1911 census records for Ireland (including Northern Ireland) on the National Archives of Ireland website. 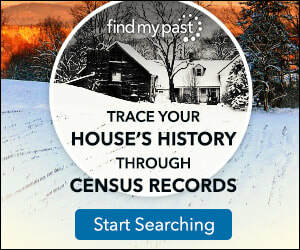 Use the CensusFinder for locating Irish census substitutes and surviving fragments of the 19th century censuses. Note: The majority of the Ireland census was destroyed in a fire only a small amount of information relating to certain counties remains. A great book covering the UK censuses in some depth. ​Your local library or record office should have copies and possibly have indexes of streets and districts.